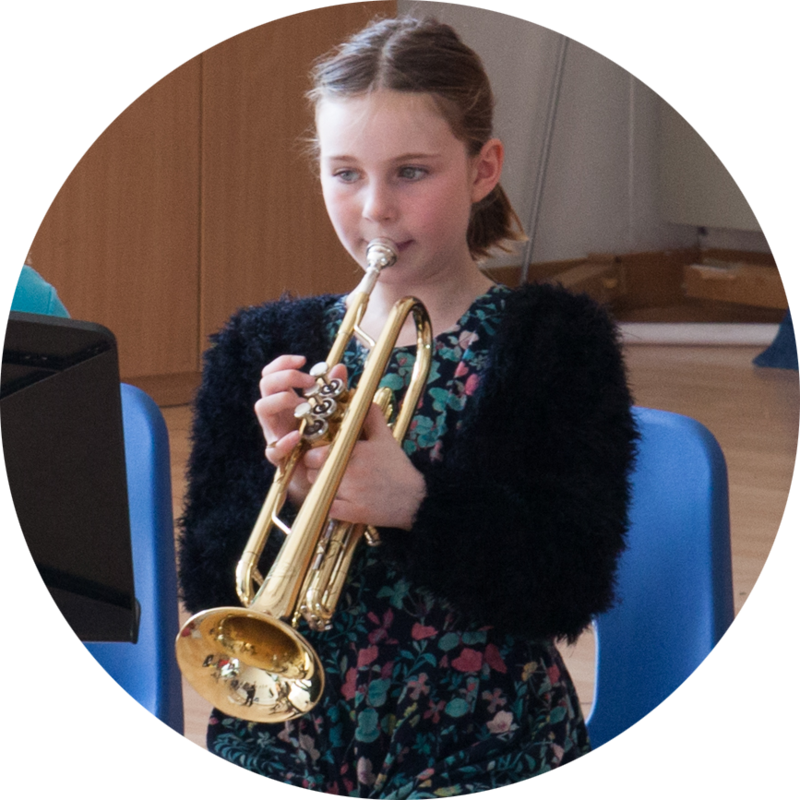 There are lots of factors to consider when deciding with your child what instrument they would like to learn, such as which instruments are taught at their school and which are available to hire out from us. More importantly they should think about what type of instrument most appeals to them! Instruments come in different ‘families’. You can browse through the instrument families below to find out more. The family of string instruments consists of the violin, viola, cello and double bass and is one of the oldest families. They are usually played with a bow but can also be plucked. The strings are the backbone of the Western orchestra as well as playing in many different styles in smaller groups. The violin is one of the most popular instruments and comes in small sizes for almost any age of beginner, though it is usual to start from the age of 7 upwards. The viola is slightly larger and deeper that the violin and is most often taken up by older violinists who are attracted to its distinctive tone quality and its role at the heart of the orchestra or ensemble. Interesting fact: there is always a shortage of viola players and a violinist who swaps to viola can be assured of a warm welcome in orchestras. The cello can also be played by younger players as it comes in smaller sizes, all the down to 1/8 size. The cello is equally at home playing the bass line and melodies. Interesting fact: because of its size it is one of the Endangered Species instruments. There is always a shortage of double bassists, meaning they are sought after within group playing. The clarinet is a very versatile, single reed instrument made out of wood. A reed is a thin strip of material placed on the mouthpiece that vibrates to make sound. Interesting fact: it is also known as the "little trumpet" and is played by celebrities like Julia Roberts, Steven Spielberg and Woody Allen. Interesting fact: the French horn is an Endangered Species instrument, and often receives a warm welcome in orchestras and ensembles because it is lesser-played. Interesting fact: early jazz bands used tubas as a replacement for the stringed bass to avoid exposing the bass to potential damage from bad weather when playing outdoors. 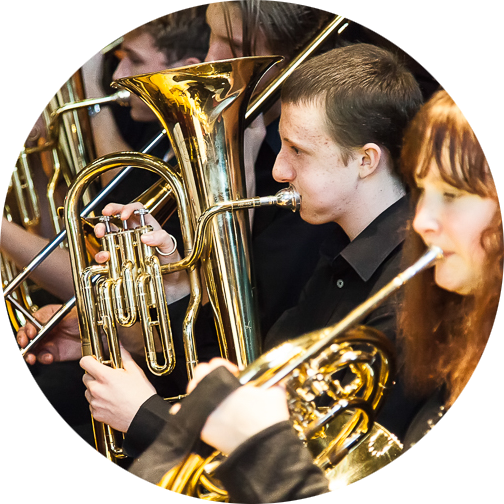 Most Tuba players start learning the Trombone or Euphonium! Interesting fact: some say that the trombone was described by famous composers like Beethoven as the "Voice of God". This is because the range of the trombone resembles closer to the range of the human voice more than any other instrument. Interesting fact: they are commonly found in jazz groups and with their wide range can play 45 notes. Singing is part of any music curriculum. 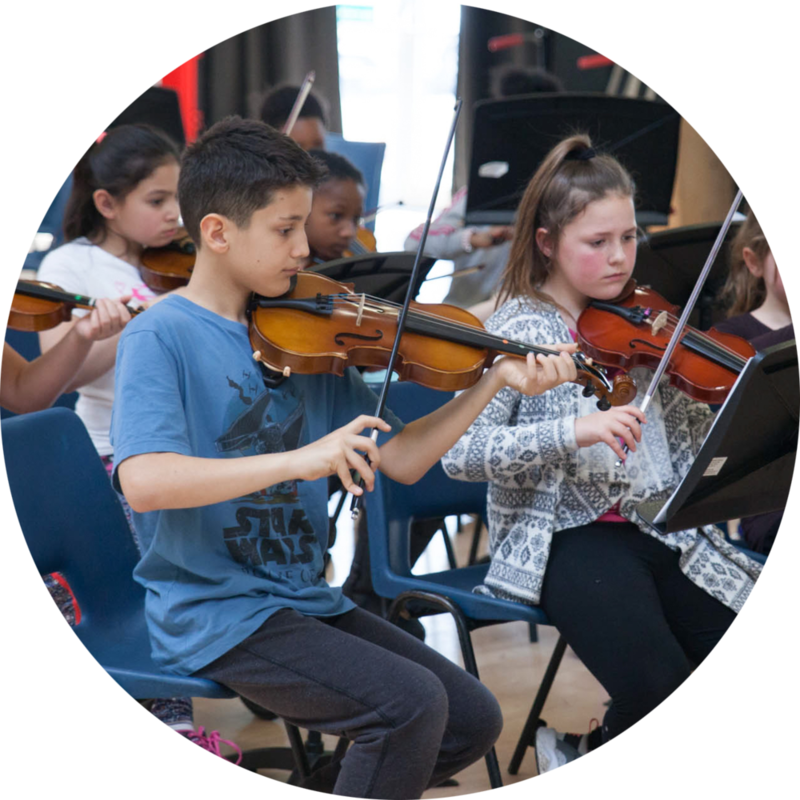 Whilst at primary school, children have the opportunity to sing in school choirs and in the Croydon Schools Music Association infant or junior festival choirs that produce large-scale concerts. 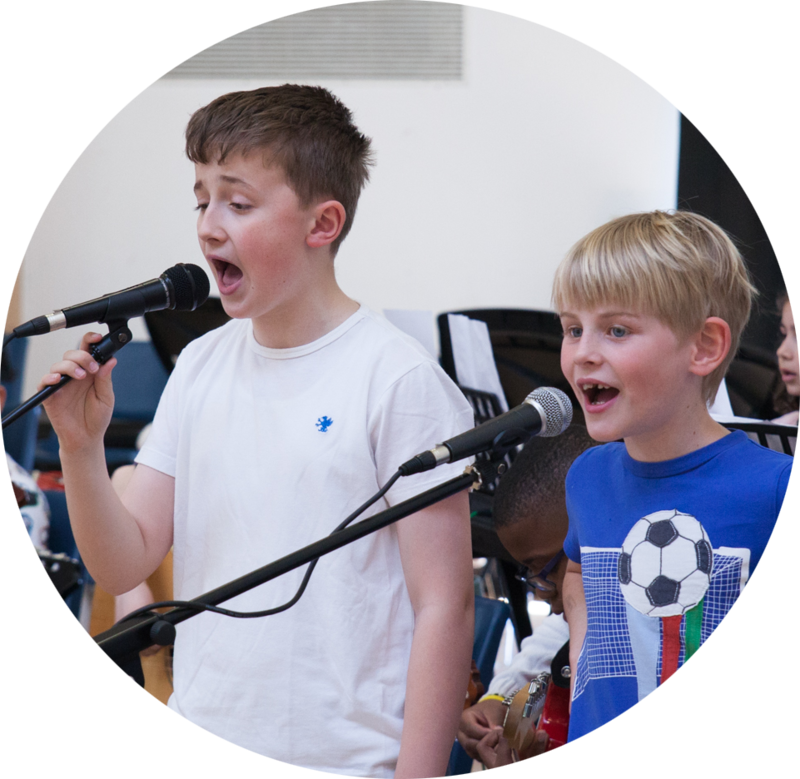 Specialist vocal lessons are normally not available until secondary school. Primary school pupils who wish to sing should join our VoiceWorks choir. It is important to learn the correct way to produce the sound and to develop good tone without damaging the voice. The percussion family is the oldest family of instruments, contributing to the rhythm, colour and energy of any group of musical instruments they belong to. Some percussion instruments play a definite pitch and can also contribute to the melody and harmony of music, such as xylophone. There are many types of drums from all over the world, including the snare drum, timpani and bass drum used in the Western orchestra, the African djembe, the Indian tabla and the set of South American samba drums. The drum kit is the most widely used percussion instrument in jazz and in most forms of popular music, including rock music, rhythm and blues, country and western music, and world music. Interesting fact: the basis of learning percussion instruments is the technique of playing the snare drum. Good coordination using both hands and both feet is developed playing the drum kit. Interesting fact: players at primary school usually begin on the classical guitar and learn the proper techniques for playing solo guitar and reading music. 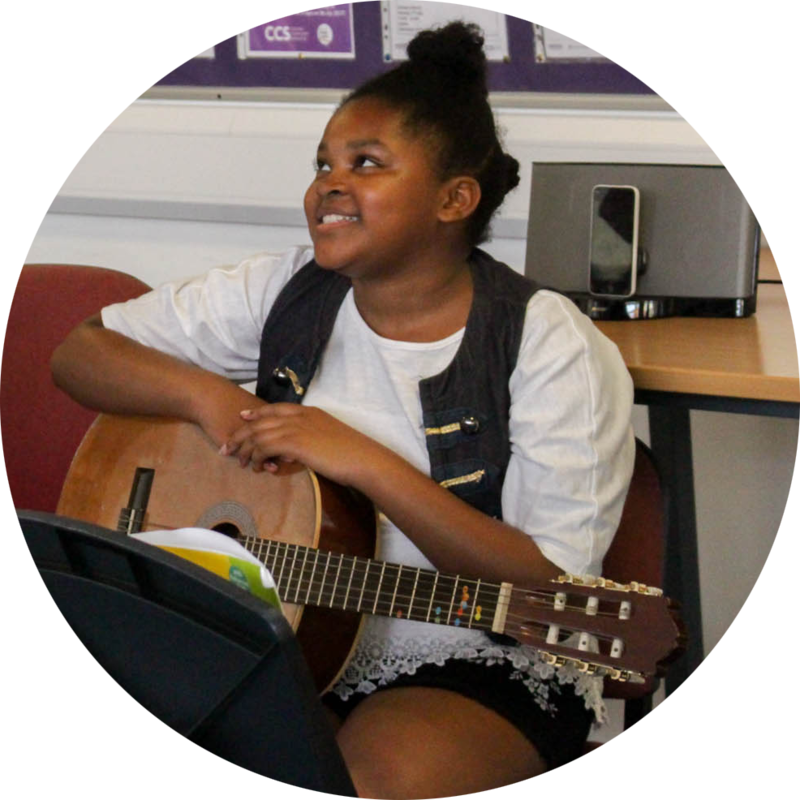 Players at secondary school usually choose to specialise on one of the three instruments. There are different grade exams for all three.